Improve your playmaking prowess by treating yourself to the next generation of Magista with the MagistaX Proximo II TF Football Trainers, available in Black, White and University Red from Nike. 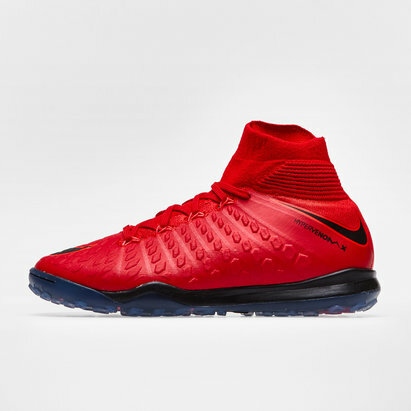 This generation of Magista Trainers has undergone a revolutionary redesign with a number of new features to help get the best out of creative players. The top quality Proximo II has a lightweight synthetic upper that delivers a comfortable and snug feel and moulds to the wearer's foot. The upper also has a raised dot grip design that's created to enhance control in key areas of the foot. For a snug all-in-one fit, the MagistaX Proximo II includes a sock-like Dynamic Fit collar. An external heel counter offers protection and stability too, allowing the wearer to focus more on their game rather than their feet. 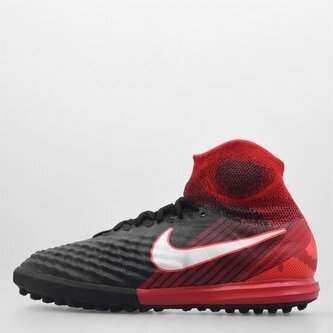 Within the midsole of these Nike football trainers is Lunarlon material, which is designed to deliver comfort and cushioning and put an additional spring in your step for improved pace. 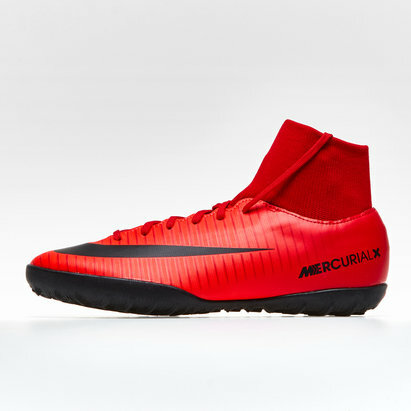 Optimised for artificial pitches and turf, the outsole features short rubber studs for grip so you can avoid fatal slip ups and make quick changes in direction. Totally next-gen and designed for skilful players looking to exert a greater influence on smaller sided matches, evolve your game with the blacked out Nike MagistaX Proximo II TF Football Trainers.